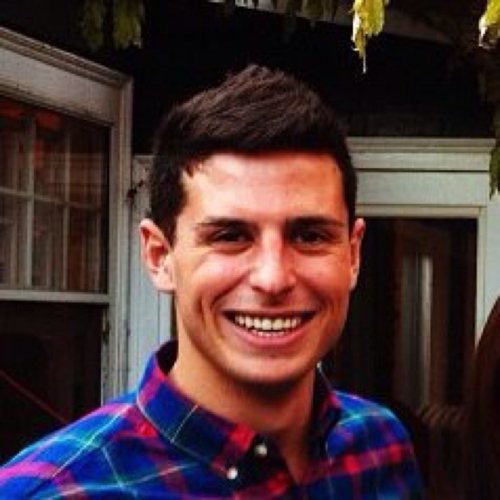 As we noted in our post last week, everyone is talking about social selling these days. But does that mean that everyone is doing it? We set out to answer that question by using SSI – LinkedIn’s Social Selling Index – to understand how sales professionals have adopted LinkedIn over time and how usage varies by industry and region. Given that we can see how millions of reps use the website to socially sell, we can reveal some pretty interesting trends! How have sales professionals changed their social selling habits over time? Over the past 18 months, LinkedIn has become a part of the sales process for more and more sales professionals – avg. 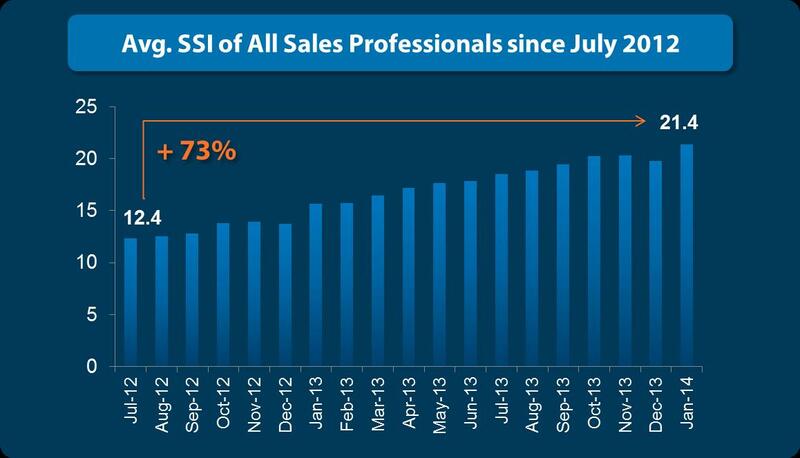 SSI has increased by 73% since July 2012. Which industries are most likely to socially sell? Diving into the data a bit, we can see that there are particular industries that have adopted LinkedIn more than others. 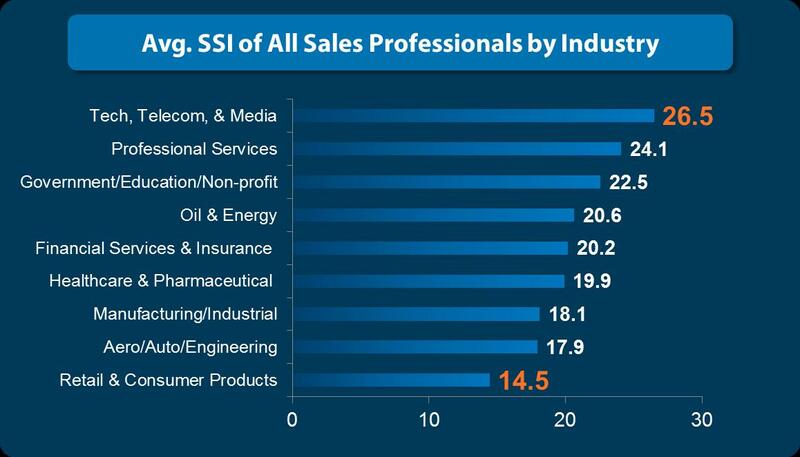 Unsurprisingly, sales professionals in technology related fields are most likely to socially sell. 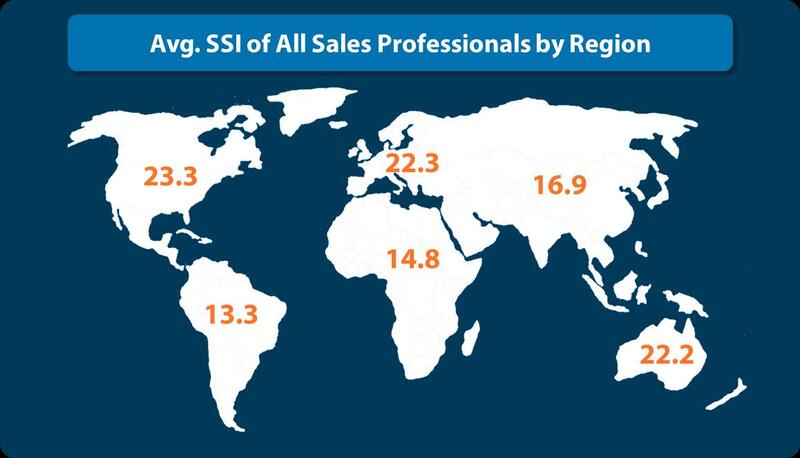 Do sales professionals in particular regions socially sell more than others? Finally, if we cut the data by region, we can see that sales professionals in NAMER are most likely to socially sell. But, EMEA and ANZ aren’t far behind! Next week we’ll share some tips and tricks to get the most out of social selling on LinkedIn. If you’re interested in learning more about SSI, click here to request your company’s Social Selling Report! Analysis looks at SSI of ~7M members on LinkedIn flagged by a keyword based algorithm as sales professionals. This excludes members that are also flagged as talent professionals, as well as members that are not attached to a given company (their profile has too little data to be standardized). When does Social Selling Just Become Selling?